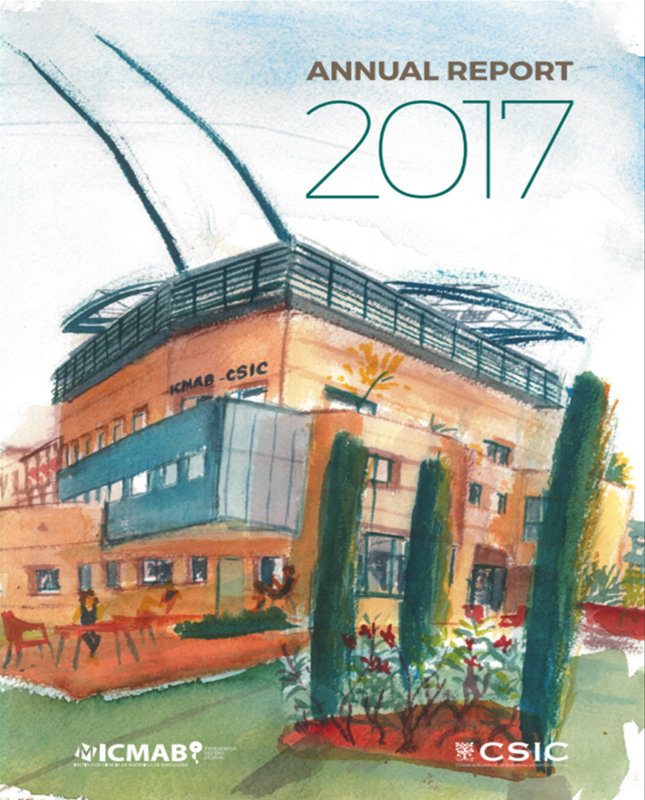 The Annual Report 2017 aims to give an overview of the scientific developments performed during this year at the ICMAB, within the Severo Ochoa FUNMAT "Functional Advanced Materials for Social Grand Challenges" project. A timeline with the activities performed during 2017, on the website verison. Eight new original illustrations from Alejandro Santos illustrating different spaces and moments of ICMAB. Infographics to show clearly some of the ICMAB facts & figures, by Jags. Complete data regarding publications, theses, books, invited lectures, conferences attended, collaborations, invited seminars, patents, etc. on the website version. 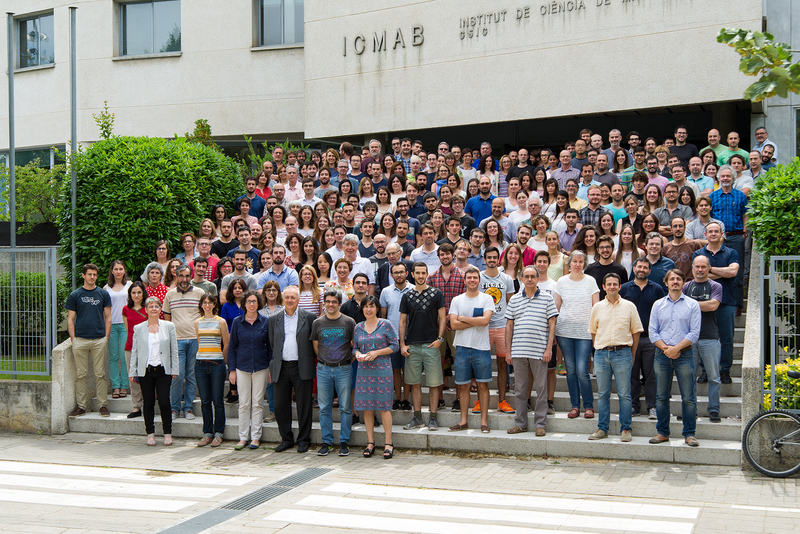 28 amazing scientific highlights covering the 5 research lines at ICMAB. ICMAB researchers published a total of 201 publications, with an average impact factor of 5.67. A total of 15 PhD theses were defended. 46 % of the PhD fellows and 50 % of the postdocs were from abroad. ICMAB budget was nearly of 13.8 M€. The ICMAB website received more than 80,000 visits. We hope you find this information useful and you can show it around! Thanks to all the ICMAB staff, especially those who have participated in the elaboration of this Annual Report!